John’s book Getting Started with Neurofeedback is required reading for all candidates who are aspiring to become certified by BCIA. His book emphasizes the importance of QEEG assessments. NxLink, NeuroGuide and NeuroRep maps are clearly displayed in his book along with a concise meaning and interpretation for each map. The EEG pattern for each of the following clinical disorders is illustrated by means of compressed spectral arrays, two dimensional graphs, topographical maps and brain wave morphology: ADHD, anxiety, depression and asperger’s disorder. The book was critiqued by Leslie Sherlin, Bob Gurnee and Tom Collura and was favorably reviewed by Corydon Hammond and the lateThomas Budzynski. 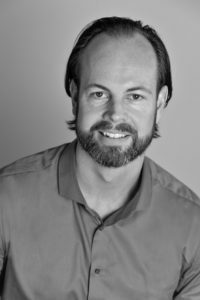 John’s career in neurofeedback started in 1998. QEEG was added to his practice in 2002 after receiving an introduction to QEEG from Joel Lubar at a 2 day Future Health seminar. Once a Lexicor NeuroSearch 24 was purchased (2002) his initial maps were processed by the ADD clinic in Scottsdale AZ. In the process of editing and processing maps Bob Gurnee acted as a mentor in explaining the finer points of QEEG. Since then countless maps have been processed in his clinic, Neurofeedback of S. VT LLC. In an attempt to improve his teaching John acquired data from 69 subjects and a rudimentary reference database was created. This (non-client) database structured EEG data in 8 bandwidths for 4 age groups ranging from 7-55 years of age. In 2006 at ISNR he had a poster presentation comparing his database results with NxLink and NeuroGuide. 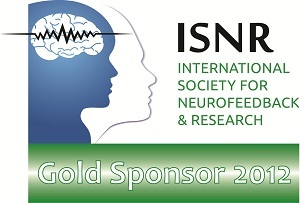 Attending most of the ISNR conferences since 2004 has assisted him in learning the import of data-led neurofeedback training. He has been a member of the International Society for Neurofeedback and Research since 1999. John has also developed the John Demos MicroTesla Z-Score protocol suite for BrainAvatar.